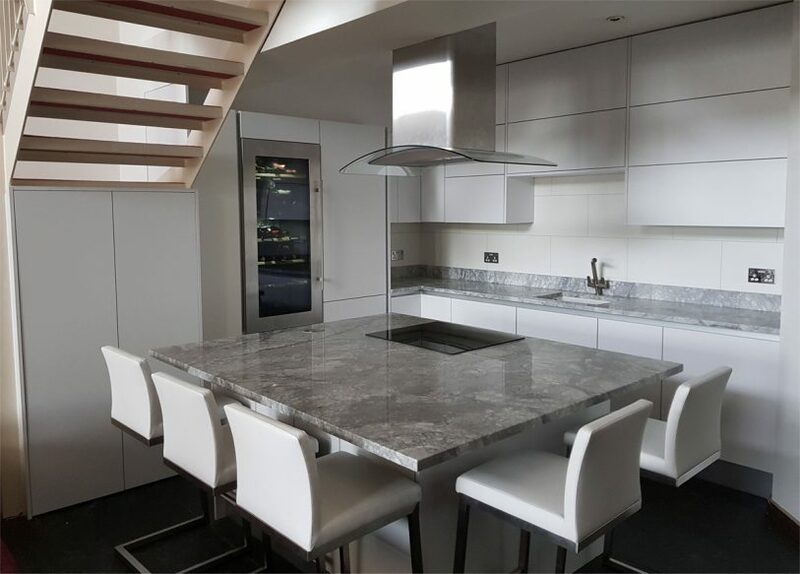 These days an increasing number of clients are opting for stylish handle-less kitchen cabinets and drawers. Not only does this style give kitchens a contemporary feel due to the streamlined and uncluttered, but it’s also easier to use. 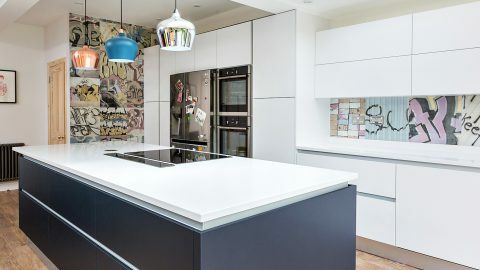 One of the reasons for their growing popularity is that it makes the transition from kitchen to dining room much smoother (which is an important style choice in these days of heightened Open Plan Living). Another reason they’re firing up the kitchen-buying public’s imagination is that they are more hygienic since they are so easy to keep clean. They are also safer with children around since there’s nothing for them to run into (or you to bang your hip on). Another advantage is there’s nothing to catch your own clothing on. 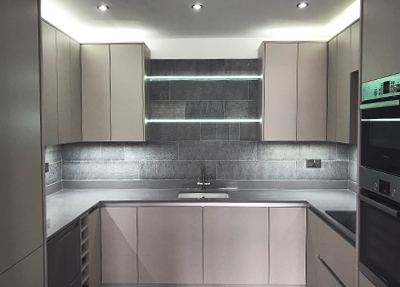 So called because this is the preferred type of German kitchen manufacturers, this simple and stylish look focuses on a continuous rail built above or next to the cabinet doors. This means your hand can rest above or to the side of the door and pull it open from behind. The most fun to use, the Push to Open kitchen cabinets and drawers work with a mechanical mechanism. Pressing on the door opens it while a gentle push closes it. It does away with the need for finger-pulls and leaves no gaps between drawers, making it look incredibly neat. It’s also easy to clean because there’s no grove for crumbs and dirt to gather in (like the integrated cabinets). The one disadvantage? Accidentally lean against a cabinet and it’ll open. Not everyone wants handle-less cabinetry and for the handle devotee the news is good; there are so many new and impressive designs and finishes around today (antique copper being a personal favourite) that it’s going to feel like an impossible task to choose. Still, better too many than too few! Check out some of the latest styles here. 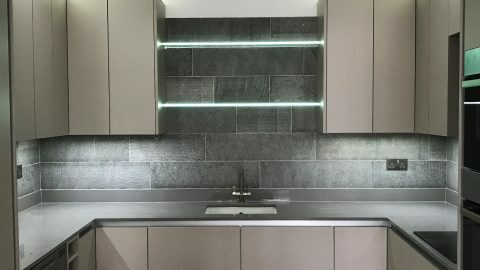 If you’re planning on updating your kitchen any time soon and would like some advice and/or inspiration then do take a look at our website information or advice then contact us here at londonkitchendesigner where you will find images of recent and past projects. You can also call us Mon to Sat from 9am to 5pm, tel: 0208 504 8850.